sighting of the day. track day 911s. I was bumbling along in my rental Civic (yes i am still driving rental cars while the A3 gets fixed), and spotted these 2! 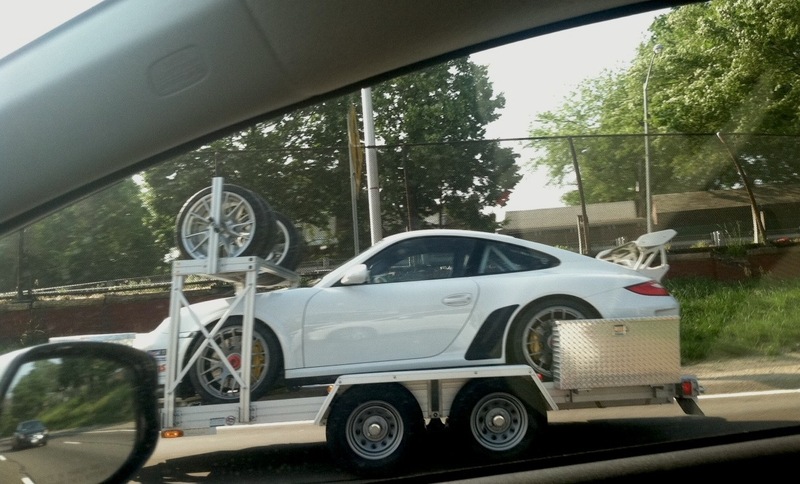 Nice combination to see together being transported on trailers for what seems to be a track day exercise—not too common of a sighting in Queens, NYC. Friggin’ awesome. 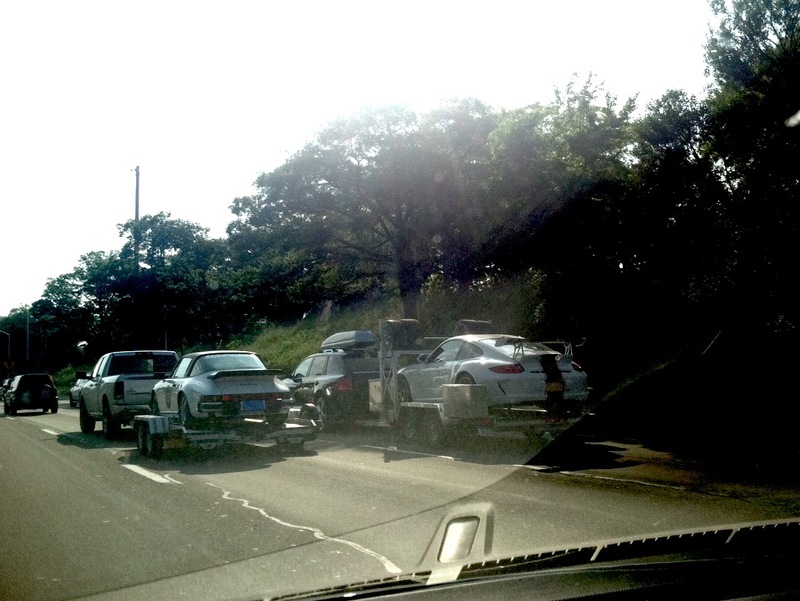 Normally, I hate the Cayenne, but I LOVE that the dude with the GT3 is towing his track car with one! #1 To Automobiliac – Thats what they built the Cayenne for originally . 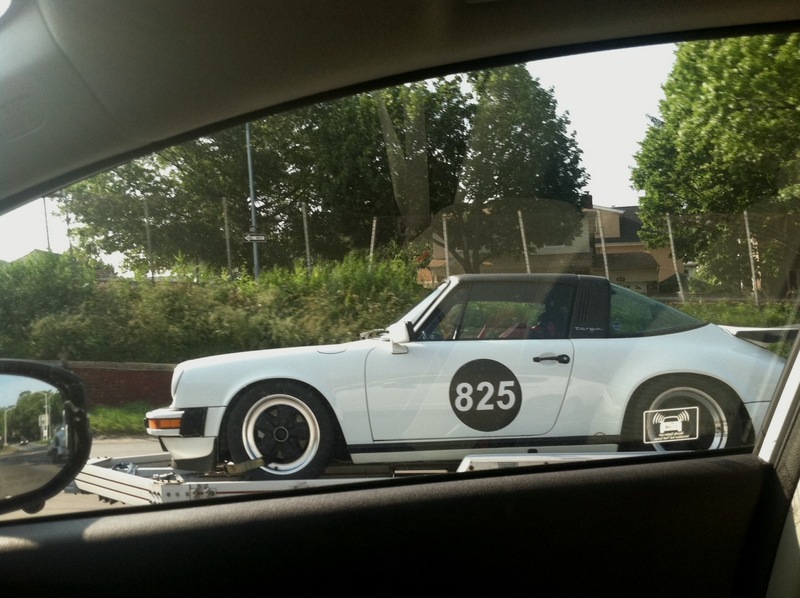 For all those Track Day/ShowCar/ Classic Porsche owners that had been using P/U’s and American SUV’s to tow their treasures around with . The fact that the SoccerMom set bought into them was a stroke of fate …… which ….. had until Porsche pulled its little Futures Manipulation Debacle made the company the most profitable Auto Maker in the World ! BTW drive a full on RuF conversion Turbo Cayenne and guaranteed you’ll be in love . Especially when you waste some pretentious ____ in one sports car or another .